Happy October everyone! There's one week left in the Sgt. Snookums story, then we'll move into the October material. If you remember, last Halloween, I had special guest/RAPUNZEL author Dean Hale in a scary Yellowbelly interview (so scary!) I thought maybe I'd have Dean come back this year--but Dean became the father of twins yesterday! Congratulations Shannon and Dean! Double babies, all the way! I vote their names should be Jack and Rapunzel even though they are both girls. I will have another October guest, though, Rick Walton (author of 6,000 stories, including our own DINO JOKES blog sequence) will be writing two Halloween picture book parodies (also twins?) which I'll be illustrating and posting here. Stay tuned. 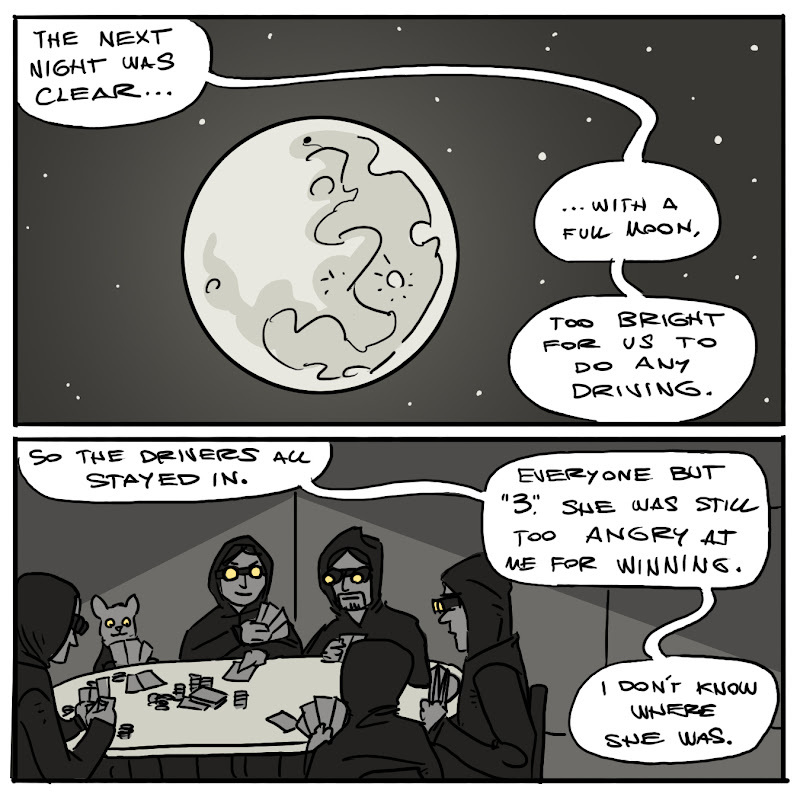 I love that they are wearing night vision goggles for the card game. Also, excited for Rick Walton!